The Federal Perkins loan program is one of the many ways that students can help pay for their education. This loan program is a program that offers fixed rate loans to those that need to pay for a college education. They are similar to Stafford loans and are funded by the federal government. The key difference between Federal Perkins loans and Stafford loans is that Perkins loans are actually distributed by the educational institutions themselves. You will need to apply with a specific school before you can get this type of loan. One of the features of the Federal Perkins loan is that the government is going to pay for the interest for you for a certain amount of time. While you are still in school, the government is going to pay the interest that is accumulating on your account. They are still going to pay for the interest after you graduate for a certain amount of time as well. They will continue to pay for the interest throughout your grace period after graduation. In most cases, this is for nine months after you graduate. 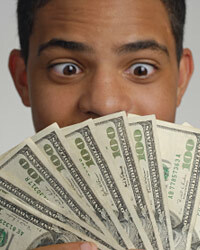 In order to get a Federal Perkins loan, you are going to have to meet certain qualifications. The first part of the process involves filling out and submitting a FAFSA. FAFSA stands for Free Application for Federal Student Aid. This is a document that everyone has to fill out before they can get any type of Federal student loan. The government is going to look at the results from your FAFSA in order to determine if you need a Perkins loan. The Perkins loan program is designed to help those that are in low income families. Therefore, if you, or your parents have a high income, you are not likely to qualify for a Federal Perkins loan. The government parameters will also take into consideration the number of dependents and whether other brothers and sisters are going to college. If you qualify for a Perkins loan, you are going to have to borrow within certain limits. For an undergraduate education, you can get as much as $5500 per year. You will be able to borrow a grand total of $27,500 with this loan program. If you are entering a graduate program, you will be able to borrow a little more money. The maximum for graduate students is $8000 per year, or $60,000 total. When you get out of college, you will have to start repaying your loans nine months after graduation. You will have 10 years to repay the balance and the payment amount is going to depend on the size of the loan. You will also have the option for a forbearance or payment reduction if you go through financial hardships. Each process of deferment or forbearance can be arranged with your lender through a quick application.